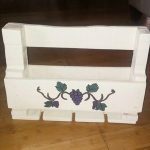 This time we have come with a very unique type of project done with pallets but is really amazing in functionality. 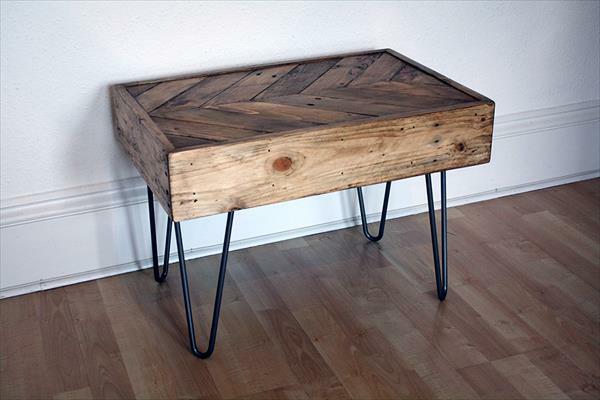 We are here to share with you the idea of this DIY wood pallet chalkboard, purely built with reclaimed pallets. 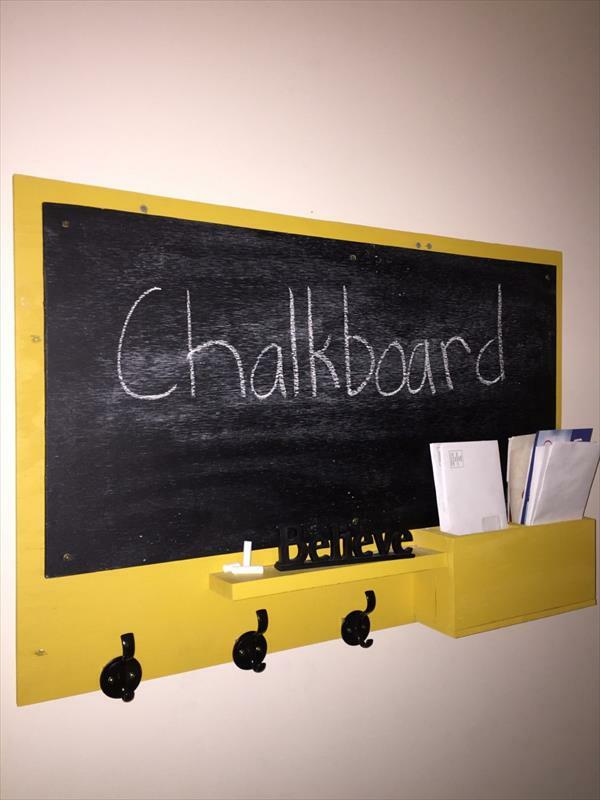 This custom made chalkboard will surely be an interesting item for your kids to write over something or to draw something which is in their mind. The design is super easy and has been some custom features and options have been added to it for a very personal use. It has been painted in black while the outer border has been raised in stimulating yellow shade. A small DIY pallet shelf has also been fixed to display some special and decorative objects. Some hardware hooks have also been fixed to use it also as a DIY pallet organizer for your keychains, hats, handbags and coats. 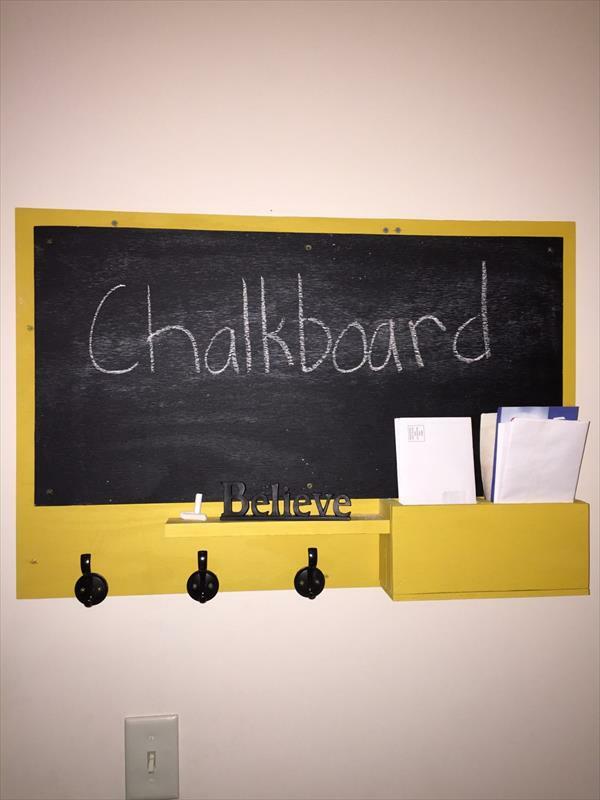 A nice DIY pallet mail organizer has also been made a part of the construction to give a more functional boost to this handmade chalkboard!